In June 2009 a Pakistani mother of five, Asia Bibi, was out picking fruit in the fields. At midday she went to the nearest well, picked up a cup, and took a drink of cool water, and then offered it to another woman. Suddenly, one of her fellow workers cried out that the water belonged to Muslim women and that Bibi—who is Christian—had contaminated it. 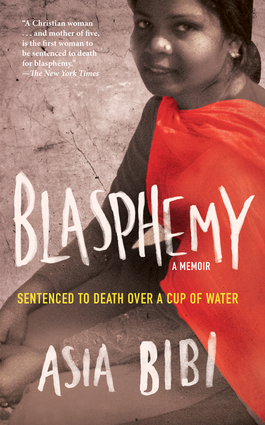 “Blasphemy!” someone shouted, a crime punishable by death in Pakistan. In that instant, with one word, Bibi’s fate was sealed. First attacked by a mob, Bibi was then thrown into prison and sentenced to be hanged.Since that day, Asia Bibi has been held in appalling conditions, her family members have had to flee their village under threat from vengeful extremists, and the two brave public figures who came to Bibi’s defense—the Muslim governor of the Punjab and Pakistan’s Christian Minister for Minorities—have been brutally murdered. 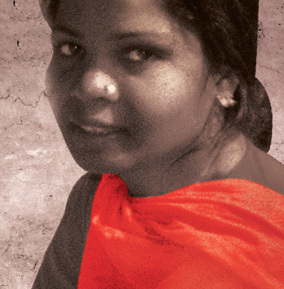 In Blasphemy, Asia Bibi, who has become a symbol for everyone concerned with ending an unjust law that allows people to settle personal scores and that kills Christians and Muslims alike indiscriminately, bravely tells her shocking and inspiring story and makes a last cry for help from her prison cell.Proceeds from the sale of this book support Asia Bibi’s family, which has been forced into hiding. Asia Bibi is currently in prison in Pakistan awaiting the result of her appeal against the death sentence she was given in 2009. She dictated her story secretly, through intermediaries, to Anne-Isabelle Tollet, an international reporter for news channel France 24 who was the permanent correspondent in Islamabad from 2008 to 2011.